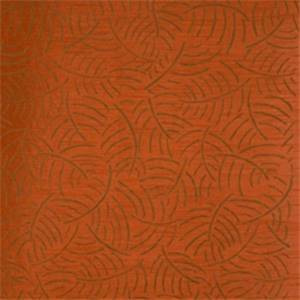 We have a great selection of copper fabrics for decorating. In this selection, you can browse through all our copper colored fabrics for your drapery, upholstery, or slipcover project. Pottery Contemporary Drapery Fabric by Jaclyn Smith 01853 This is a beautiful orange contemporary drapery fabric by Jaclyn Smith Home - Trend Fabrics. Ideal as drapery or bedding fabric. Suitable for many home decorating applications. Dry cleaning recommended. Compared at $41.95.Base Cloth 100% Polyester, Flocking 100% RayonRepeat: V. 25.2 in. 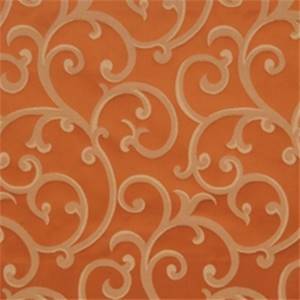 H. 13.5 in.Width: 54 in.Trend 01853V142PTDRMinimum 1 yard cut.Samples not available for this item. Spice Lattice Drapery Fabric by Trend 01688 This is a beautiful orange woven lattice fabric by Trend Fabrics. Ideal as drapery, bedding, or upholstery fabric. Suitable for many home decorating applications. Dry cleaning recommended. Compared at $69.95. 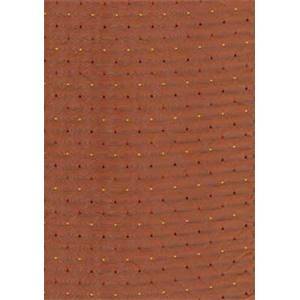 Dalyan Solar Diamond Dot Faux Silk Fabric Dalyan Solar is a faux silk fabric with a diamond dot design design. The basecloth is rust orange with a slight sheen and the embroidered dot are yellow, rust and dark red. This fabric would be ideal as decorative pillows, drapery, bedding fabric or cushions. This fabric is from Swavelle Millcreek. 9,000 double rubs. Dry cleaning recommended.